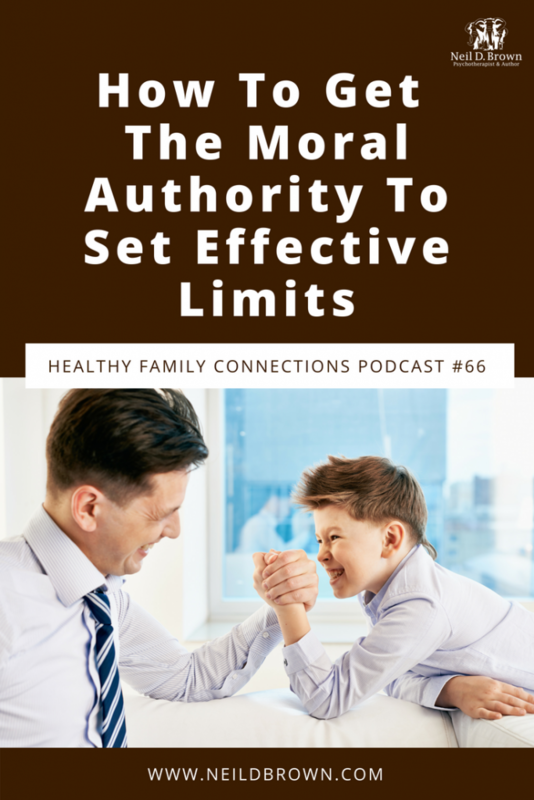 Many parents cherish the warm, positive relationship they have with their children, but how do they keep it when a child flat out refuses to do what they need to do? I was talking with a Mom the other day and she was telling me about her eight-year-old son whom she describes as very active, very happy, very smart, athletic and takes a lot of energy to parent. She said he’s cooperative with most things but once in a while it’s really hard to get him to do what he needs to do. She said that the other day he didn’t want to go to school. He said he was just too anxious. This was a casual discussion I had with mom so I didn’t know exactly what he said he was anxious about, but mom’s question was; how do I get him to do something he flat out doesn’t want to do? After all I don’t want to force him or make him miserable. Mom said she was a fan of my podcasts and it seems like I have such clear answers and was wondering if I had a clear answer for her. I lied and told mom I did, because these things are often more nuanced than I make them sound. But if you have a couple of clear principles in mind, you can make things a lot simpler. I told her that, like a lot of moms, I’m sure you get cooperation from your child by using warmth, being inviting, encouraging, being playful and using humor, explaining things and maybe even some bribing. It’s common enough and we all do it. So we build the relationship with our children based on a very positive warm way of getting things done. Who can argue with that? It sounds wonderful and it is wonderful. But what happens when that doesn’t work? How can we get that cooperation without ruining that trusting warm respectful relationship that we’ve built? I explained to Mom that the way forward is with an abundance of positivity. Of course Mom would want to know what the source of her son’s anxiety is and problem solve it with him. I showed her an example of what it might sound like. Let’s name her son Tyler. "Tyler, you are one amazing kid. The way you played in that soccer game this weekend was unbelievable. You never quit out there, and did everything the coach asked and you were exhausted and you played really, really well even though it was really, really hard. And remember all the subtraction problems you did last night. There were so many and you were getting tired and some were really tricky. That was really hard wasn’t it? And you didn’t like it. But you stuck with it and you did it and you got them all correct. I can say a lot of wonderful things about you Tyler because you are a wonderful kid. You’re kind, and thoughtful, you’re smart and you’re talented. One of the most important things I can say about you is you’re not afraid of doing hard things. When you put your mind to something, watch out Tyler is on the hunt. You’re feeling anxious about going to school and anxiety is a feeling; it’s an unpleasant feeling and going to school when you’re feeling anxious about something is hard. But you’re not afraid of hard things and now the hard thing is learning how to make yourself feel less anxious and get ready to face whatever it is you’re anxious about at school. Here are some skills you can use; think of positive things, think of winning the soccer game, think of the camping trip we went on, think of snuggling with your dog. That’s a great way to feel better. Another way is to stop thinking at all, and just notice your surroundings. Notice the feeling of the air on your face while we walk to school. Notice all the different kinds of flowers and trees we see on the way to school. These are they ways we handle our anxiety. So get yourself ready and off we go." I explained to this Mom that it’s our positivity that gives us the moral authority to put clear limits and establish parameters our kids. That way they know what we’re asking of them is in their best interests, that it’s safe, and that they will be successful. Kids are experiencing many things for the first time, so they’re insecure about how to deal with things. Tyler, in this case, may not know how to deal with his situation or his anxiety about it. And I think we can all agree that moving forward in the face of anxiety isn’t easy even for adults, but that it’s very often necessary. In this case, if Mom is confident that Tyler can deal with his anxiety and be okay, then Tyler can learn to be okay with his anxiety now and in situations in the future as well. A child or adolescent who can do hard things and manage their uncomfortable feelings, well that’s one empowered kid. And you are not going to raise an empowered kid, if you aren’t an empowered Mom. So Moms and Dads out there, and let’s add teachers, therapists and coaches as well: To help our kids find their potential and overcome their fears and perceived limitations, we need to believe in them, see their wonderful qualities and capabilities and mirror it back for them. Don’t be afraid to be effusive in your expression of faith in them. We can’t use that lecturing tone, “you know son, you can do it if you put your mind to it.” Or, “You have all the potential in the world. You just have to make up your mind to use it.” That’s just a lecture, a burden, and will make them feel shame that they aren’t living up to our expectations. It needs to be genuinely positive and affirming. That way they’ll get the right message and they will see themselves through our affirming eyes. Thanks for tuning in folks! If you are enjoying the Healthy Family Connections Podcast, take a minute and leave a review for me. It will let others know that they too can benefit from tuning in. I came across your book in the library and I am wondering if you have advice that could be tailored to a younger child. I find myself deep in a control war with my now 8 year old child, and this struggle has already been going on for years. I see this beginning to negatively affect her outlook in general. Hi Jamie, You are asking the right question and sooner is always better than later. The challenge is to not “feed the beast” as we talk about in the book. Look at the 3 elements that feed the beast and ask yourself if any of those apply to you and what you can do to change those behaviors. Secondly, make sure you are bringing a healthy vision of your 8 year old; that you know he or she is special, wonderful with many wonderful qualities, and express that often. Catch your child doing positive things and comment on those, acknowledge them, thank your child when appropriate. Be sure you are aware of your child’s nature or temperament. That way you can see their behavior in the context of their natural way of being rather than as resisting expectations. Be aware of your own temperament so you can see how your default way of being and your child’s way can clash, and then make adjustments to avoid those negative synergies. You can listen to the podcast: Know your Child’s Needs and that will help. There is a parent struggling in a similar way and I offer her a way forward that may prove helpful to you too. Thanks for your appreciation Jamie. Always a good feeling to hear from listeners.